New chip resistor products optimal for individual applications are being developed, including small products for smartphones, high-reliability products for in-car use, and high-performance products for industrial equipment. 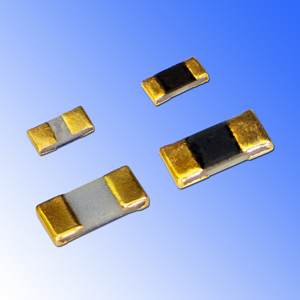 Similar to MLCCs, 0402-size chip resistors are becoming widely used. Moreover, some chip resistors have been extremely miniaturized to the 0201-size in order to adapt to next-generation mounting processes. These will be mass produced and supplied in consideration of their market evaluation. 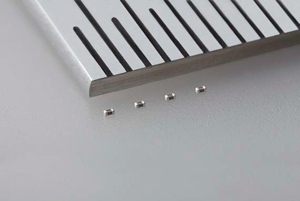 Thinned products with thicknesses of 0.13mm and 0.14mm have also been developed. In power supply circuits, a long-side electrode structure increasingly tends to be used as high-power chip resistors. It is suitable for various automotive ECUs that are subject to large temperature variation and large vibration or shock. There are a broad variety of low-resistance chip resistor products that are used for current detection, current limitation, motor rotation control, among others. In particular, product lines of metal plate chip resistors have been markedly expanded. Surge-resistant chip resistors for circuits, which need to be protected against lightning surge, are also available. Also, sulfurization-resistant chip resistors are used in circuits near the power supply to prevent resistance braking due to sulfurization.